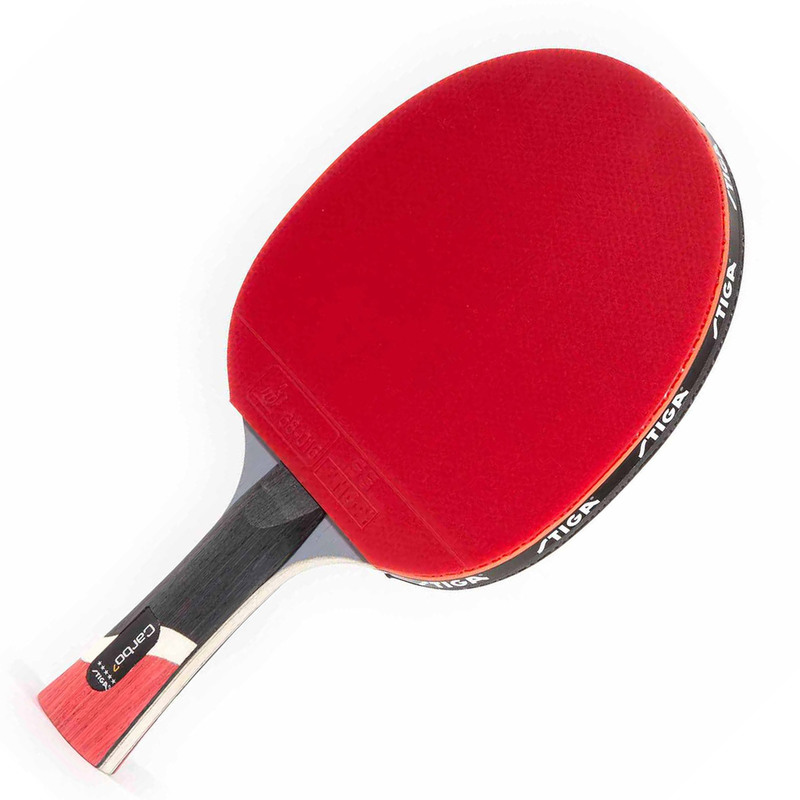 Your ping pong paddle is unquestionably the most important piece of gear you’ll buy for your table tennis setup. You can always compensate for subpar balls and a lackluster table by using technique and skill. Not even the best players can translate technique into victories without a decent paddle, though! We’ve been playing table tennis for years, and we’ve had plenty of opportunities to get to know the best and worst rackets in the game. Below, you’ll find reviews of our current favorites. There’s something here for every budget and skill level, so read on to find a racket that can help you take your game to the next level! This Kettler set is the epitome of value, as far as we’re concerned. There aren’t any frills here–just 4 solid ping pong paddles and lots of balls to get you playing out of the box. We think this is a perfect set for families, workplaces and anywhere else where “simple” and “functional” are the key things. The Kettler Advantage rackets are as cheap as any crappy Chinese models, but they’re made in Germany and play surprisingly well. You won’t confuse them for $100 rackets, but beginners and casual players won’t be wishing they’d spent more money, either! There are definitely some downsides to buying such inexpensive rackets, though. The rubber peels fairly quickly, and the fit and finish is lackluster overall. We don’t think they’re super comfortable to play with (even though you don’t notice much if you only play casually. More importantly, skilled players will be frustrated by these. They don’t have the speed or grip that nicer paddles do. That means you can’t play as aggressively or tactically. For novices and casual weekend warriors, though, they’re perfectly decent. Cornilleau’s Tacteo 30 is an excellent weatherproof racket for new players, families, and experienced players who want some secondary rackets for outdoor play. It’s super rugged but still offers a lot of finesse. We love this one for when you want to take the game outdoors without sacrificing the quality of your game. The most impressive thing is how inexpensive the Tacteo is. It’s French-made and has superb fit and finish, without costing more than your average knock-off! There are definitely some nicer outdoor rackets out there, such as the Cornilleau Nexeo’s below. The Nexeo X70 offers more speed and spin potential, and is generally more enjoyable to handle if you’re an experienced player. This STIGA is our recommendation to the average indoor player who wants something with more control and finesse than the Kettler, without splurging on the professional-grade Butterfly. It’s agile, fast, and fully-qualified for competition play! Just don’t get this if you’re an absolute beginner. It’s a lot to handle. 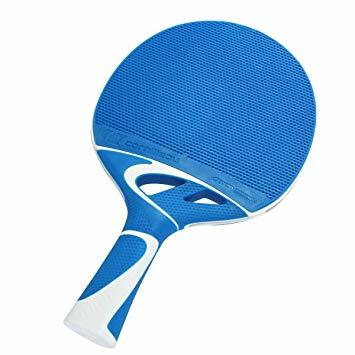 The least expensive ITTF-approved competition racket we recommend, STIGA’s Pro Carbon is a mix of traditional materials (wood, rubber) and the very latest materials, such as carbon fiber. It offers a hell of a lot of spin and power for well under $100. There are lots of tangible advantages to playing with something like this. You’ll be able to respond faster, spin more precisely, and make all your moves with more finesse. We’ve also found that this is one of the most comfortable blades to play with. It’s incredibly ergonomic, and very good for European-style, offensive playing techniques. Of course, you’re not going to get top-notch performance for this price. Butterfly’s high-end models (such as the Balsa Carbo X5 Pro Line below) have even more finesse, speed, and precision. If you’re serious about your competition and play every day, you may want to invest in the Butterfly rather than settling for the STIGA. The Cornilleau Nexeo X70 is the ultimate indoor/outdoor racket. It’s super grippy, with impeccable handling and excellent ergonomics. If you like playing outside and want something that complements advanced technique, this is the blade for you. We love that it’s so rugged and weatherproof without losing any finesse! As far as we’re concerned, the Nexeo X70 plays as well as the best indoor rackets (short of professional models). This set is a convenient way to grab enough Nexeo’s for the whole family. If you and your family are passionate about ping pong and have an outdoor table, it should be all you need for years of intense play. Pride of place in our rankings goes to Butterfly’s Balsa Carbo X5. It’s a professional-grade racket with absolutely stellar performance. Something like this is way, way overkill for casual and intermediate players, but it will take ambitious competitors as far as they want to go with their game! It’s simply that good. The kind of speed, agility, and power you can achieve with the Butterfly is really remarkable. The two rubber faces give you a perfect balance of spin and speed. As experienced players will know, it’s hard to find something that gives you the best of both worlds. With most pro-grade rackets, you have to lean toward either spin or speed, which is limiting. The Butterfly proves you can have both in equal measure! The only real downside of the Butterfly is the steep price tag. This is something only a daily, driven player can justify buying. Which of these table tennis rackets should you buy for your gameroom? The Kettler set is the obvious choice if you’re on a tight budget and looking for value. 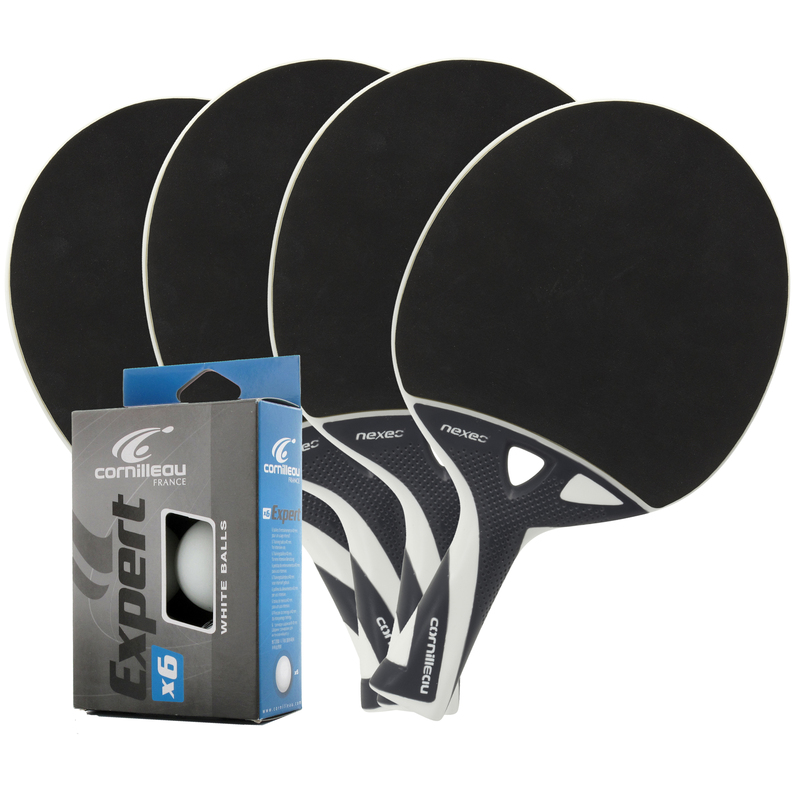 You get 4 paddles and twice as many balls for the same price as most single rackets! These won’t last forever, but they’re a perfect starter pack for new players and casual family competitions. If you’re looking to play outdoors, the Cornilleau Tacteo 30 is the ideal budget racket. It’s cheaper than the Cornilleau Nexeo, but it’s still weatherproof and very resilient. It plays extremely well, too! The STIGA Pro Carbon is our recommendation to players who want something ITTF-approved, short of spending a chunk of change on the top-notch butterfly. It has the official red and black facing, plenty of spin potential, and great balance. A great choice for the average buyer with some skill who plays indoors. For more ambitious players who like to play outdoors, the Cornilleau Nexeo X70’s are a perfect choice. 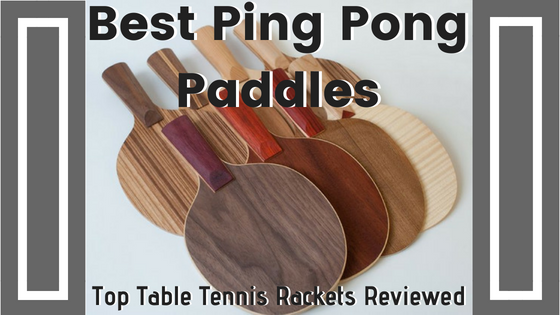 They play like premium indoor paddles but also happen to be the most weatherproof we’ve reviewed to date. This set provides a lot of value, too. 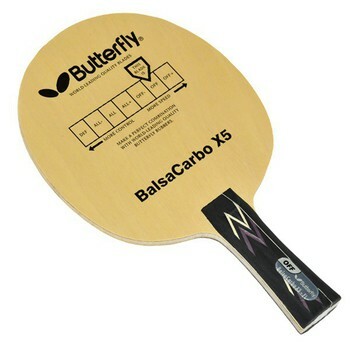 The Butterfly Balsa Carbo X5 is our absolute favorite paddle on the market today. It’s truly professional-grade, and perfect for the most ambitious players. You have impeccable control and finesse with this one. The spin you can achieve is simply unbelievable! Are you all about spin? We’ve got you covered! You can find our top picks specifically for spin here! For more expert reviews of all kinds of gameroom gear, visit our homepage! 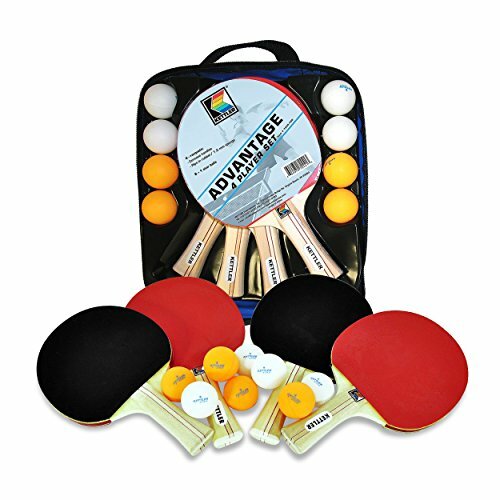 You may also enjoy our guides to the best ping pong tables and balls. Links are all easy to find on our homepage.